The Alaska State Troopers has confirmed the death of a crew member on the F/V Ocean Prowler. The longliner owned by John Winther and partners is based out of Petersburg, Alaska. 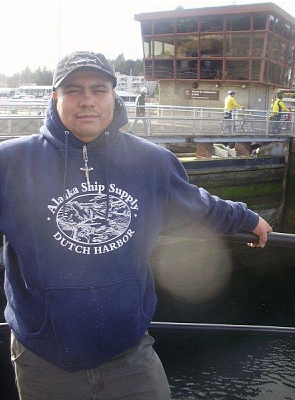 The crew was fishing for Pacific cod near St. Paul Island when Oracio Jimenez Gomez, 34, of Arizona fell ill Jan. 17 and went to his quarters to lay down, according to Megan Peters, an information officer for the Alaska State Troopers. Crew members checking on Gomez later found he was not breathing. “They attempted to resuscitate him, but were unable to do so,” said Peters. The fishing vessel reported the death Jan. 17 to the Unalaska Police Department, who contacted the state troopers, Peters said. via The Dutch Harbor Fisherman – Deckhand dies on F/V Ocean Prowler.